Tower Media Group isn't just for commercial business anymore! We now have the capability of printing a wide variety of personal, gift and home decor items. You can enhance the beauty if your homes interior with a custom vinyl lettering treatment, framed art print or gallery canvas wrapped frame print. 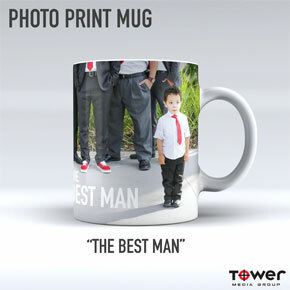 We also produce personalized gifts like high-res metal sublimation prints, iPhone cases, mousepads and coaster sets. 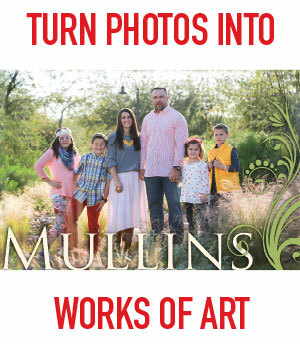 You can even wear your favorite art or photographic with no-minimum full color photo quality printed shirts. For personalized stationery, note cards, thank you cards, announcements, invitations and envelopes. We can being your personalized idea to life! Don't limit yourself to the generic design templates available online. For a small design fee, our graphic design team can render your ideas on your desired product. Here's a true story... One customer came in for custom graduation announcements because the year before , she received seven graduation announcements from her son's friends. Three of the seven were the exact same design from the same online announcement mill. Whatever happened to unique design?